Norfolk State alumni are passionate and driven leaders, prompting worldwide change in industries such as business, public policy, healthcare and the arts. The stories below show the impact of an education at NSU. Read about Spartans making their mark within their communities and abroad. 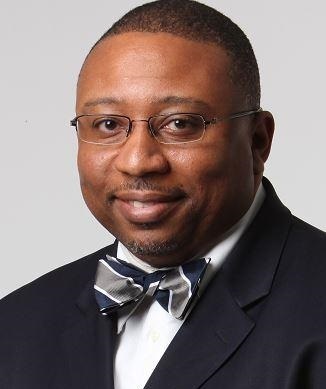 Derek T. Dingle, senior vice president/chief content officer, at Black Enterprise magazine, has been named by Cision Media Research as one of the top 10 most influential U.S. print journalists covering black interests, business and culture. Dingle is responsible for the strategic planning and editorial direction of the content teams at Black Enterprise. He earned a B.A. in journalism from Norfolk State and completed the Magazine Management Program at New York University. 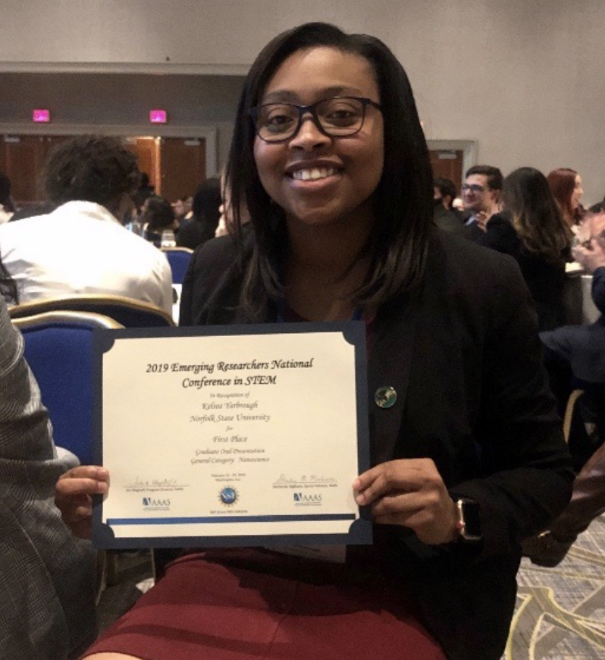 Kelsea Yarbrough, a Ph.D. candidate in Dr. Messaoud Bahoura's research group, won the 1st place award for Graduate Oral Presentation in the Nanoscience category at the 2019 Emerging Researchers National (ERN) Conference in Science, Technology, Engineering and Mathematics (STEM). Yarbrough’s presentation was entitled “Sn doped Zinc Oxide for an Active layer Thin Film Transistor.” The conference, which hosts students from all over the country, is geared toward college and university undergraduate and graduate students who participate in programs funded by the National Science Foundation's Division of Human Resource Development. George Timmons, Ph.D. (B.S. 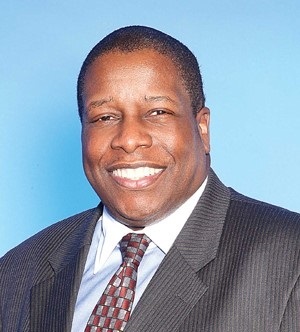 '92), of Schenectady, New York, has been appointed Vice President and Dean of Academic Affairs at Columbia-Greene Community College. Prior to accepting the position, Timmons served in several capacities at Excelsior College in Albany, including Founding Dean of Online and Learning Services, Associate Provost of the Center for Online Education, Learning and Academic Services, and most recently as Dean of the School of Liberal Arts. 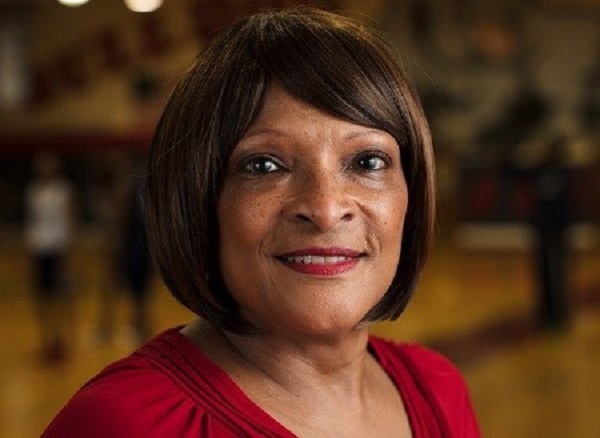 In the course of his career, he has volunteered for several professional boards and community organizations, including the Capital District YMCA and as a mentor with the Sponsor-A-Scholar program of Albany. Valerie R. Perkins ’78 is one of 30 whose oral histories with photographic portraits are being told in an exhibition at the University of Richmond in Richmond, Virginia. Growing Up in Civil Rights Richmond: A Community Remembers looks at how the lives of these Richmond residents were changed by their experiences as children and youth in the civil rights movement. The exhibit opened in January and will run through May 10 at the Joel and Lila Harnett Museum of Art at the University of Richmond’s Modlin Center for the Arts. Perkins serves as president of the Central Virginia Chapter of the NSU Alumni Association.